Considered the most beautiful football player in Russia, Olga Evgenievna Petrova (born on July 9, 1986) is from the Mari El Republic of Russia. She started playing football with her father Yevgeny Petrov, who became the first coach of the future football player of the Russian national team. In fact, her first team was “Yesenia” from Rybnoye of Ryazan region, where the athlete spent three seasons. Olga still remembers with warmth the time spent in Rybnoe, visits and brings gifts to pupils of the local boarding school. 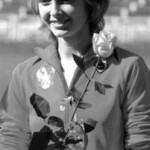 Then, she was a Russian international football midfielder who played for WFC “Rossiyanka”. Olga Petrova has won three Russian leagues, four national Cups and the 2005 U-19 Euro. 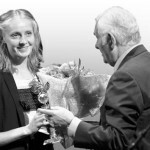 Meanwhile, when she took part in the 2009 Euro, she received a title of the best Russian female player 2012. At the end of 2013, Olga signed a contract with one of the strongest European clubs “Wolsburg”. However, to consolidate the basis of the German team Petrova failed and the agreement was broken by mutual agreement. According to the latest sports news, Olga Petrova signed a two-year contract with the Russian team “Ryazan-VDV”. Women’s football in Russia deals with no more than 25 thousand people, and if we talk about professional footballers, the account goes to hundreds. Compared with the United States, where European football is the most popular sport among women, and it is engaged by more than 3 million people, it is negligible. This is negligible and compared with the number of men involved in football in Russia.